Attention Melbournians: We’re here to let you know we’ve stumbled upon a foodie haven a little off the beaten track that’s seriously worth travelling to. Located 10 kms from the CBD, Sunshine North reps a diverse melting pot of mouth-watering goodies from delish cafes and restaurants to some of the city’s best Asian food hands. down. Finding hidden gems is one of our most favourite past times (someone's gotta do it?! ), so we’ve teamed up with Pace Of Sunshine North to bring you some of the best feeds on offer to tantalise your tastebuds and 'gram game. 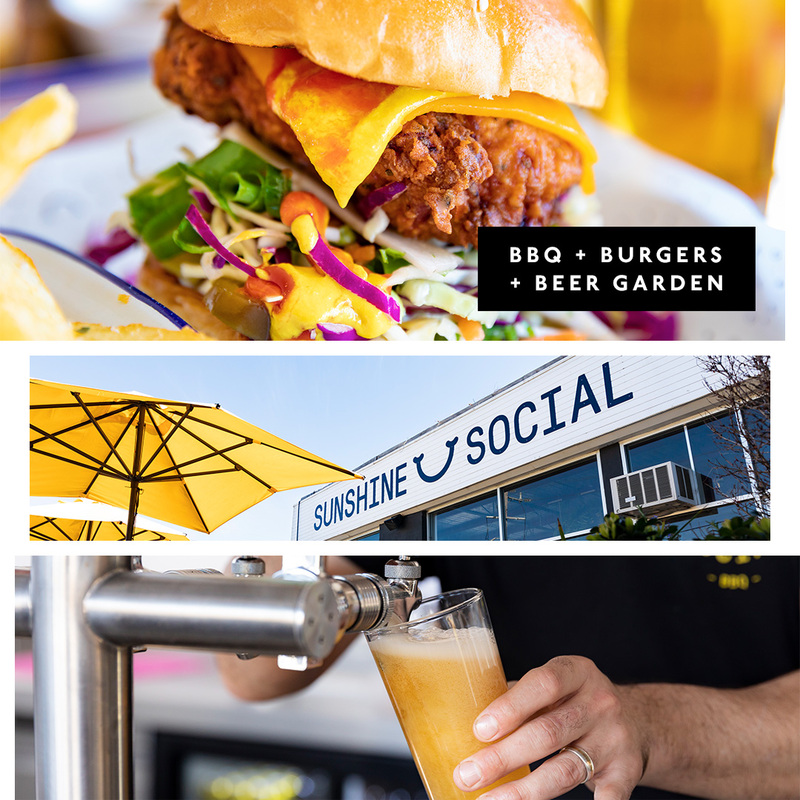 Boasting an epic beer garden with an abundance of outdoor seating, string lights and big yellow umbrellas, Sunshine Social is aptly named. Priding itself on using only the best produce, this local favourite cooks all of their delicious meats over smokin' hot charcoal (which FYI smells aaaamazing). Picking a favourite meal here feels like choosing a favourite child or sibling. BUT, if we had to pick, the fried chicken burger with slaw, jalapenos, pickles, mayo mustard, tomato and plenty of cheese has us weak at the knees. You also can’t go wrong with anything off the grill - the smell of slow cooked pork ribs and charcoal chicken still hasn’t left our nostrils. If you haven’t tried a pastizzi, you’re doing life wrong. These traditional triangle delights from The Original Malteste Pastizzi Co. are jam-packed with all the mouthwatering sweet and savoury fillings of your dreams. What kind of fillings you ask? Well, these flaky puffs of goodness come with anything from Nutella, ricotta, pizza (think CHEESE) and mushy peas. If you want to delve into a little more Maltese magic, go the custard filled ricotta donuts or Imqaret - aka deep fried diamond-shaped pastry oozing with a date filling. TYSM for existing, Malta *praise be hands emoji*. This place gave us the warm fuzzies as soon as we walked in. Little Rays is an independent social enterprise café, whose goal is to create positive social change in the community through every nook and cranny of the business. Cue the 'nawwwwws', the café donates at least 50% of its profits towards their chosen charities. Not only is Little Rays the saint of all Melbourne coffee shops, they also just so happen to make a reallllllyyyyy good coffee. So now you can sip your strong soy latte and feel proud of all the good you’re doing for the local community. This family owned business is the epitome of Sunshine culture, serving up delish coffee and home style Vietnamese dishes that taste just like a warm hug from Mum. The Usual Joint has a menu as unique as they come, serving up everything from classic bacon and eggs, to their signature housemade desserts. We’re looking at you Crème Puffs, Crèpe Layer Cakes and Swiss Rolls! You can expect flavours like matcha, taro pandan, thai milk tea and black sesame. Concocting new creative combos every day, one of their most recent - and our personal fave - is the Viet Iced Coffee Crème Puff (think oozing thick coffee flavoured cream teamed with fluffy flake-filled pastry). 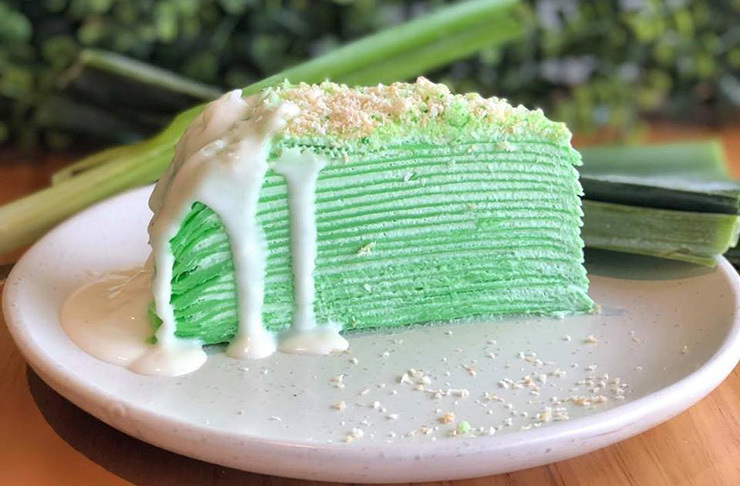 We also haven't stopped heavy breathing since trying the Pandan & Coconut Crepe Cake. Located on leafy Argyle street, Dumbo is a revamped milk bar, which as beautiful on the inside as it is on the outside, laden with leafy ferns, washed timber, fresh flowers and flooded with sunshine. These guys take brunch seriously (as you damn well should! 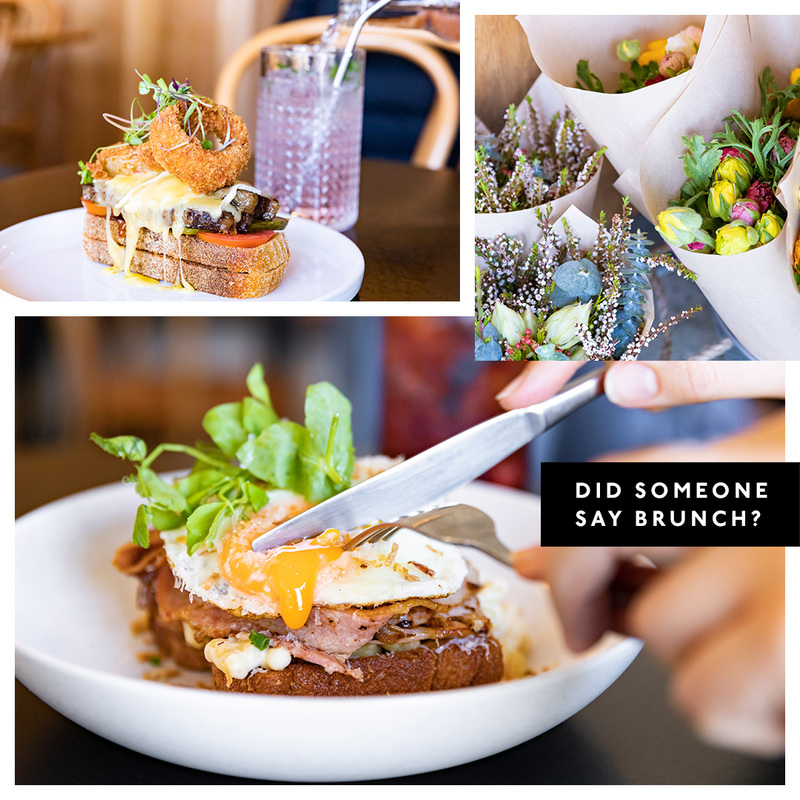 ), serving up droolworthy breakfast and lunch dishes all. day. long. If you don’t want to end up with paralysing food envy, make sure to order the Beef Brisket Open Sandwich, served with melted brie, Dumbo BBQ sauce, tomato and pickle on sourdough, topped with onion rings. Otherwise, their Mac N Cheese with double smoked bacon, fried egg, crispy shallots and manchego on brioche is a bloody close second – LBH we’ll take any excuse to eat Mac N Cheese for breakfast. Known for their deliciously, hot and juicy beef empanadas and incredibly decadent sweet treats, South American Bakery knows a thing or two about how to nail traditional South American baked goods. This place is basically an institution in Sunshine North and we can see why. There is oozing caramel, flaky pastry, Chilean cake and fresh bread as far as the eye can see. The smorgasbord of sweets is as daunting as it is delicious, so if you want to forego the anxiety ridden decision ahead of you, we recommend Brazo de Reina or “Queen's Arm”, made from fluffy delicate honey sponge, filled with sticky dulce de leche and dusted with icing sugar. Yasss please! Serving up a 100% vegan and gluten free menu, Particle Cafe is seriously changing the way we think about vegan food. One of the first things you’ll notice about the dishes coming out of this kitchen is the amount of colour on each plate. 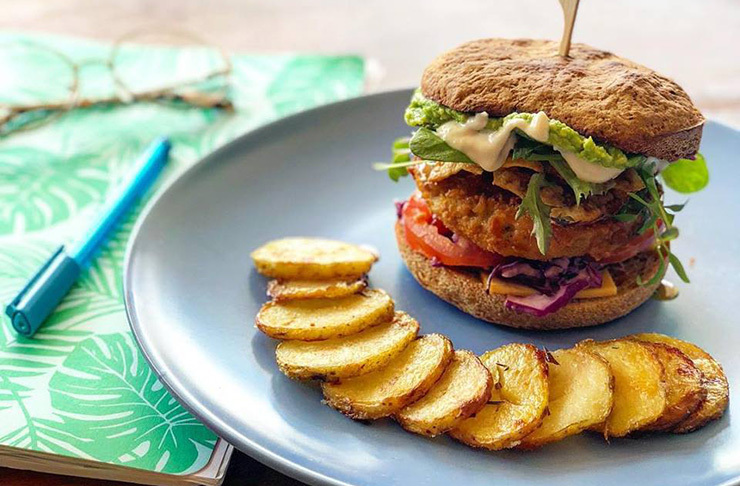 Standout items from the menu are the 'Tricken Schnitzel Burger', 'Not-ella Smoothie Bowl' and classic 'CheezyMite Sanga' (we loved the puns almost as much as the food). Not to mention, we’re feeling pretty great about the fact we can eat a schnitty and feel like we’re treating our body like the temple it is. If you’re looking to veer away from your usual coffee order, give the Iced Matcha (topped with whipped cream) or Golden Tumeric Latte a whirl. And it goes without saying… anything off the Vietnamese specials board is going to blow your socks off. We tried the homemade pork spring rolls and we’re still having the sweetest of dreams about them *love heart eyes emoji*. Pace of Sunshine North launches this weekend! Visit the display suite at 322 Duke Street, Sunshine North on Saturday 1st & Sunday 2nd September from 11am – 4pm to enjoy free coffee by The Big Letter Co, free Vietnamese Street food by Lil’NomNoms, and craft activities for the kids. Editors note: This article is sponsored by Pace of Sunshine North and proudly endorsed by The Urban List. Thank you for supporting the sponsors who make The Urban List possible. Click here for more information on our editorial policy.